Room and meal plans let you add boarding plans and charges to student accounts. Boarding charges are eligible for financial aid. Follow the steps below to set up either a room plan or a meal plan. Go to either the Room Plan or Meal Plan setup tab. Select an income account for this plan. Enter the amount this plan will cost for an academic term. You can change this amount for any student at the time you add the plan/charge to their account. 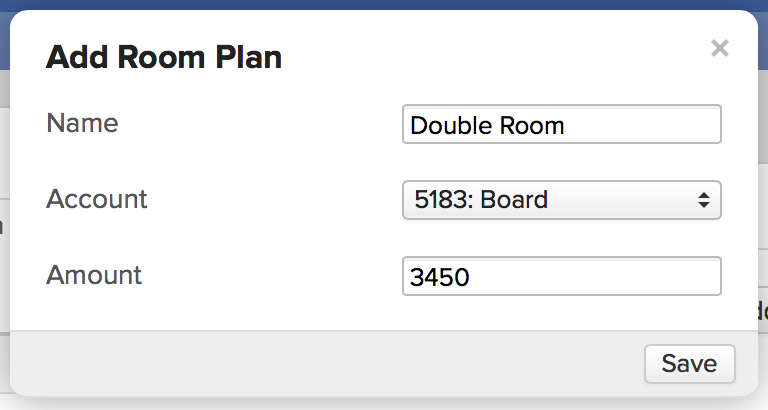 When you add a student to a room, she'll automatically get the associated room plan added to their account together with the appropriate pending charge. When you add a meal plan to a student, it automatically generates a pending charge on their account. Room and meal plan charges are then invoiced. Is there a way to associate a particular room or meal charge to a tag? Like the rule function that is set up in the Fees section? Currently there is not. Instead room and meal plans are added from the financial section of a student's profile.